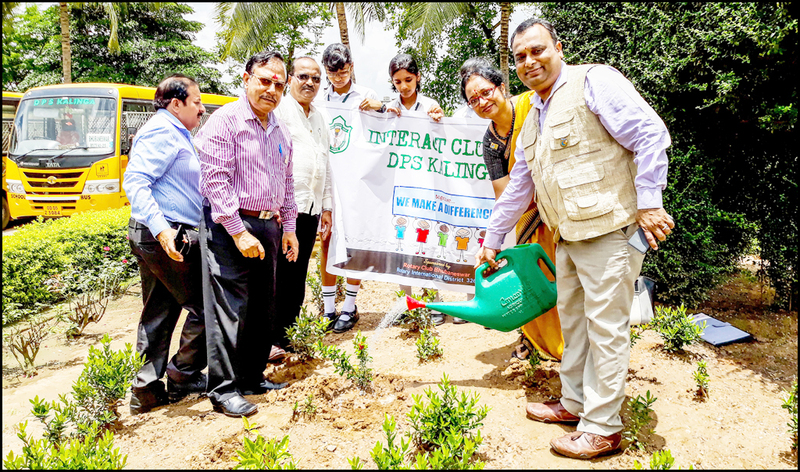 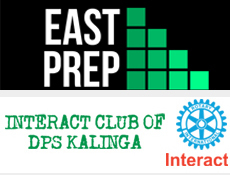 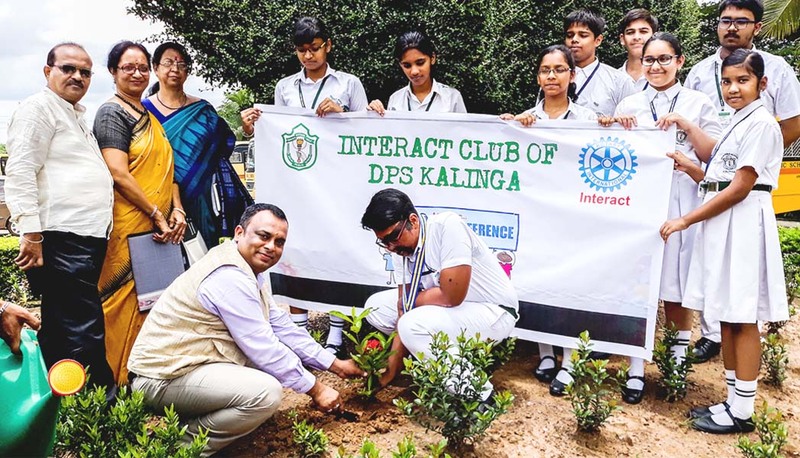 The formal installation of "Interact Club of Delhi Public School, Kalinga" was held on 8th August 2018. 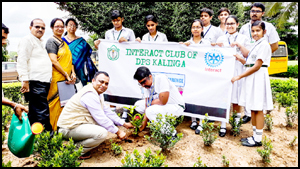 Dignatories of Rotary Club Bhubaneswar, Rtn. 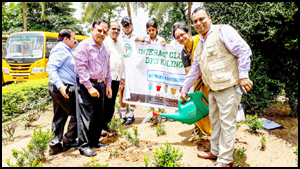 Dr. Roshnara Begum (IPP) and Rtn. 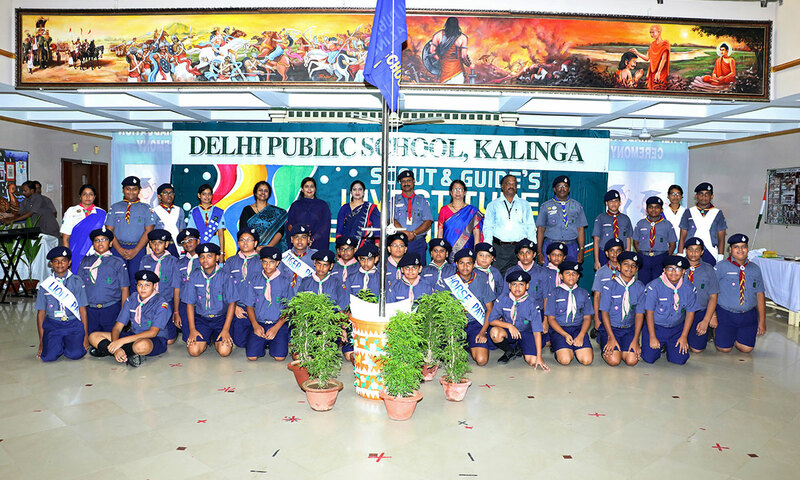 Tanmay Mohanty (President) presented badges to the Office Bearers and addressed the young members. 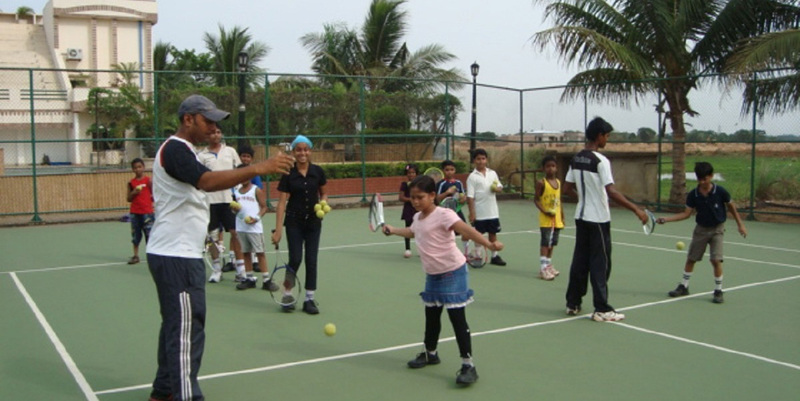 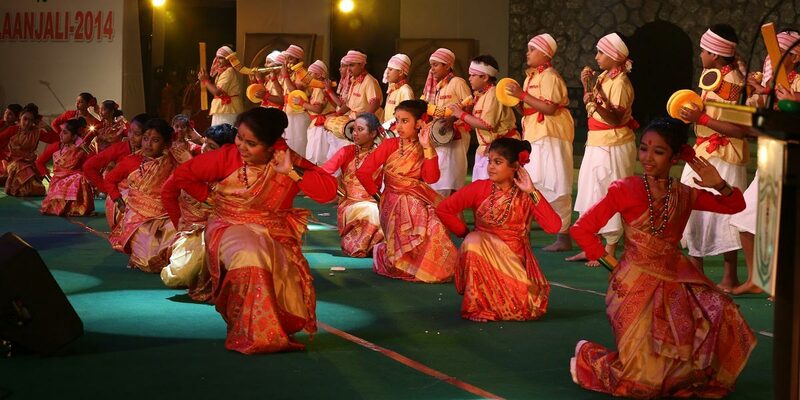 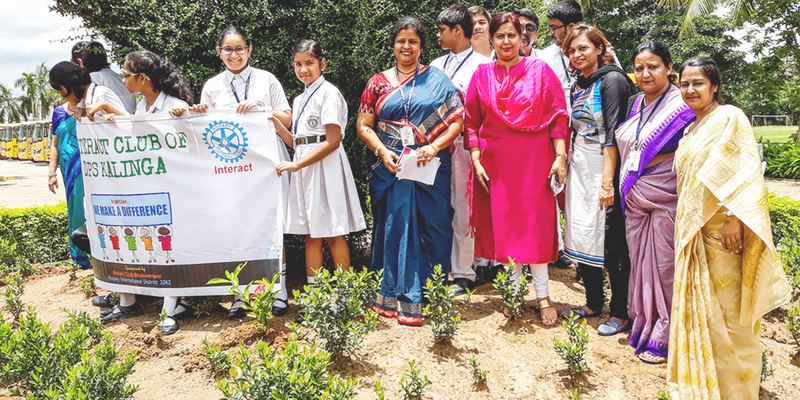 The Interact Motto of "Service Above Self" was highlighted to inculcate the responsibilities as community leaders. 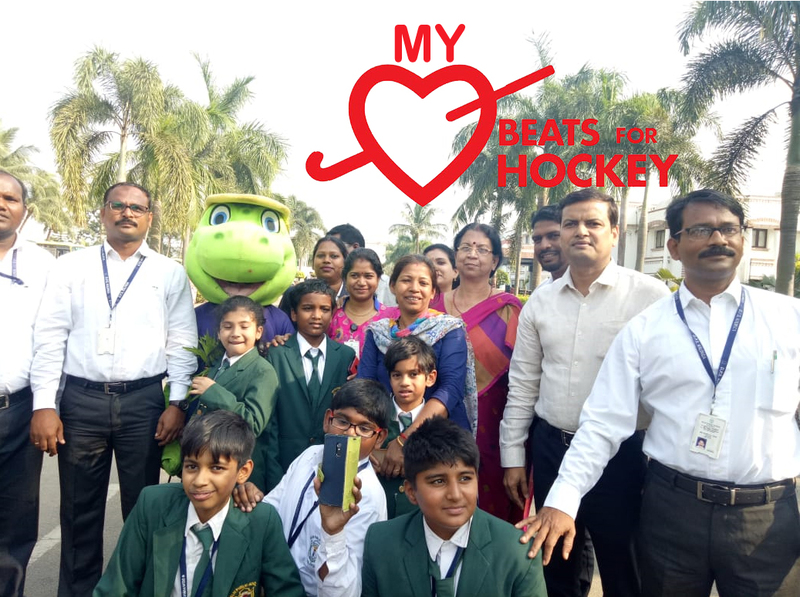 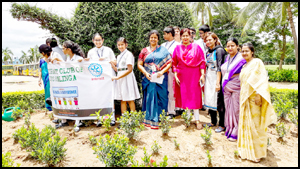 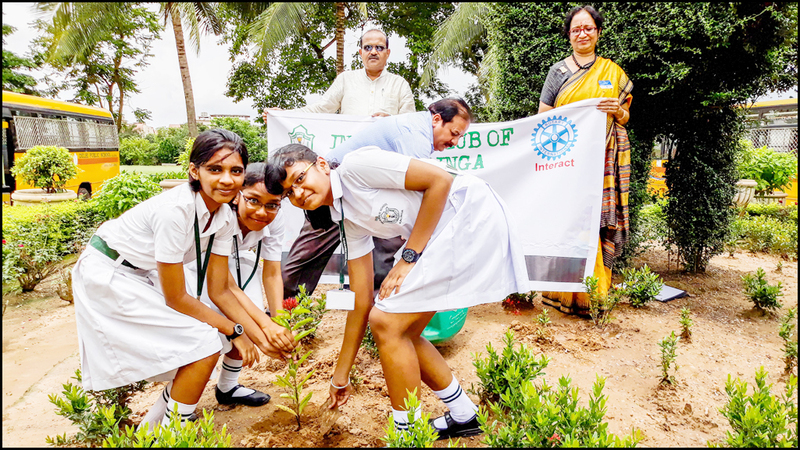 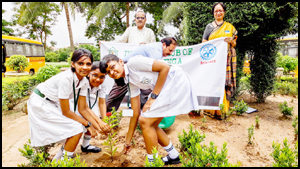 A Plantation drive was organised in the school premises to add to the greenery around the campus.Trustee, Mrs. Mala Mishra, stressed on the importance of social skills and being interactive amongst members. 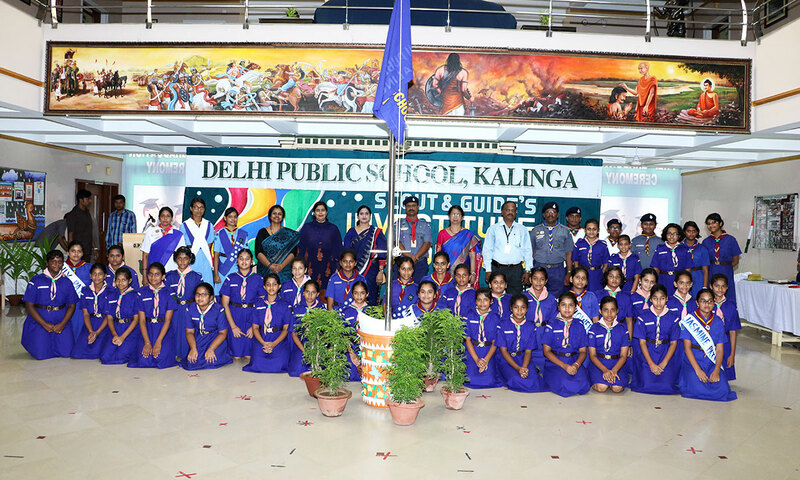 Principal, Mrs. Anuradha Rakshit congratulated the office bearers, wishing them success in their future endeavours revolving round community service at large.